We all know as teachers that the core standards are important - as they guide what we teach every single day. Many administrators in fact require that we have the standards and objectivesposted every single day. I love using I Can Statements to accomplish this.I have realized that having them presented in a student-friendly manner is also incredibly important, because if children don't know what it is that they are supposed to be mastering, how can they take ownership of their learning? But the big questions are how do we effectively go about posting our standards, getting our students AND parents involved and holding everyone accountable (including myself)?! I made a huge bundle of goodies to solve these problems, and I am thrilled with how it all turned out.I have seen objectives written as full pages or even half pages, but with as many standards as we cover each day... I simply don't have the room to hang up such large posters. These come three on a page and are made to fit nicely in pocket charts. How easy is that?! They work perfect on your front white board, or even in a center area without taking up precious wall space. And since they can go in pocket charts, changing them out and moving them around is a breeze. I love the bright linen-textured colors, and I color-coded them by domain. Plus I made editable cards in each color! Grab objective these headers for FREE! To get the parents involved, I made checklists to send home. I decided to make two versions - one to send home before I teach a unit, and one as somewhat of a post-assessment checklist so parents know what their child mastered, and what they still need to work on. These are the skills we will be learning send this version home before we start the unit - or simply at the beginning of the year. This is what I can do! Date:_________ send this version home after you complete a unit - or simply at the end of a quarter or testing period. I made these checklists for every domain, and they come in black and white versions as well! 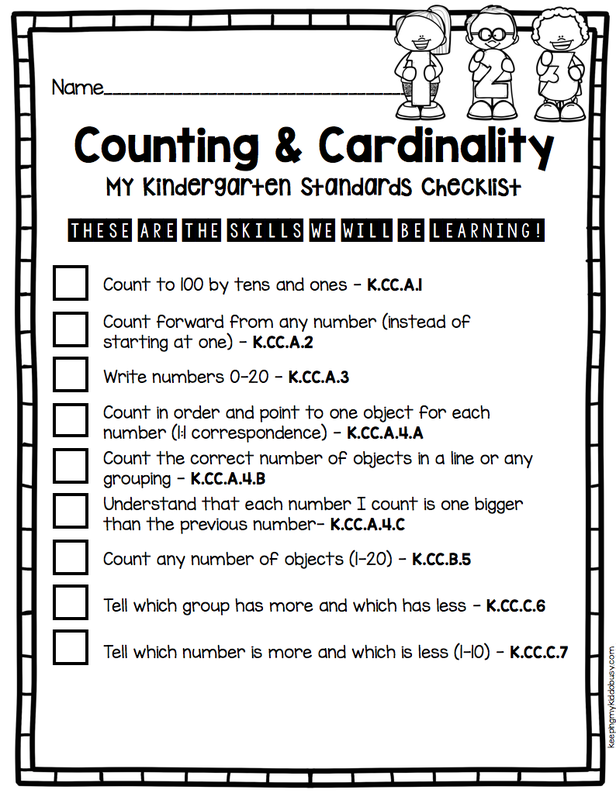 These are the perfect way to give parents a heads up on the standards you will be covering, and then again a heads up on what their child mastered and still needs help with. Your parents will be so grateful to be kept up to date and then there are no surprises at report card time. You can use one or both - it is totally up to you! These checklists also hold ME accountable too. They are a quick and easy reference when I am planning my lessons and units. I actually use the color versions as posters behind my desk to help keep me on track. And of course for a FREEBIE! I also have a coordinating kit available for Science and Social Studies! Want to have your students set goals and get excited to achieve them??! 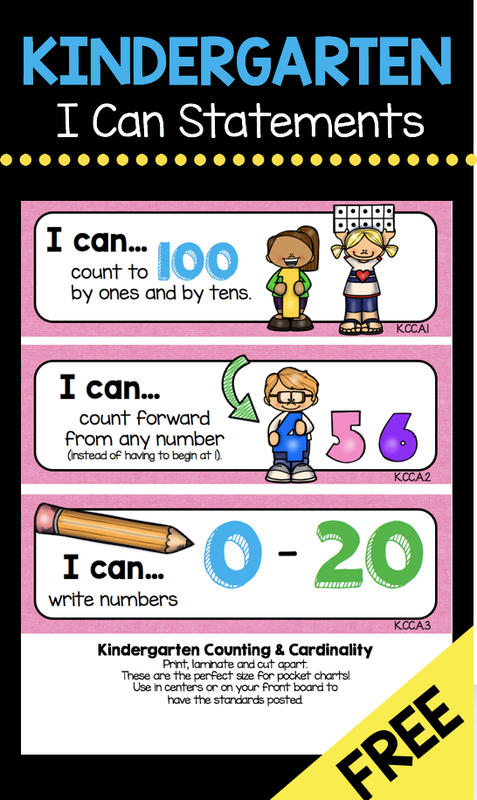 Check out THIS POST to see this adorable goal setting "I Can..." Chart!